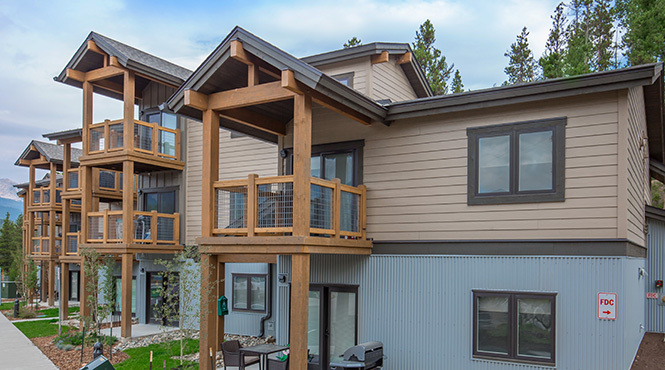 Looking for affordable apartment living in Breckenridge, Colorado? 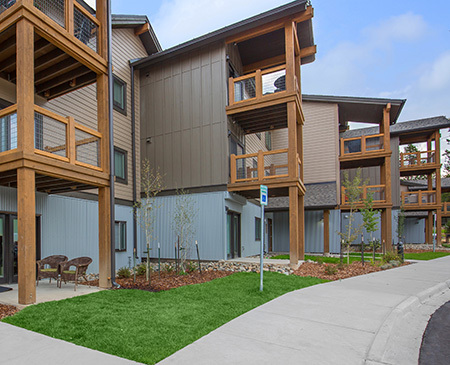 Come home to Huron Landing, developed in partnership with the Town of Breckenridge and Summit County. Our community was developed to provide affordable rental housing to locals working full-time in Summit County. We are a lushly landscaped and well-maintained neighborhood in a convenient location. Residents will appreciate the proximity to town, jobs, recreation center, a walking path, free transportation and all of the outdoor activities Summit County has to offer. With eight floor plan options to choose from, you're going to love the openness of each of our two bedroom floor plans. Designed to make life enjoyable, each home includes an all-electric kitchen, breakfast bar, plenty of storage, full-size washer and dryer in home, decks, and central heat. We offer our residents a lifestyle of comfort and convenience. Become a resident and gain access to all the community amenities and services we offer. Residents will enjoy features that include cable-ready apartments, disability access, on-call and on-site maintenance for your convenience, and one parking space per home. We are a pet-friendly community with certain breed restrictions and a limit of two pets per unit. We are also a smoke-free community, with no smoking or vaping inside your residence or on the property. Our friendly, professional staff at Huron Landing is looking forward to accepting applications and showing you your new home.